My sister and I had come to Linsay for a family visit ,when we stopped at the motel at 5:30 on a Friday evening and my very reliable Chev Equinox was dead . Nothing that CAA could do to get it going. I saw your ad in the phone book and called. Barry took my call . Told me service had just closed for the day but don't worry, get it towed in the morning and they would get it going for me. We had all kinds of scenarios going through our heads with a big price tag attached. In the morning Barry greeted us, took our info , passed everything immediately on to the Tech and invited us to have a coffee. We were prepared for very bad news, 55 minutes later Barry presented us with a bill of $34.00 and an explanation of loose battery cables. Wow! Great sevice, pleasant , helpful staff, wonderful follow through, and they washed my vehicle!!! Thank you , thank you. "From the moment I arrived at Boyer's I felt like more..."
From the moment I arrived at Boyer's I felt like more than just a customer. The atmosphere was very inviting and made me feel like part of a family. The staff were extremely friendly and looked after all of my needs. Jesse, a service technician, took the time to come into the waiting area to explain to me the service my vehicle required and gave me options for the repairs which I appreciated. Glenn, a service advisior, was highly knowledgable to all the questions I asked him and kept me informed while my car was in the shop. Carrie, the customer relations manager, phoned me following my appointment to ensure I had an excellent experience and offered to give me reminder calls for my next appointments which I appreciate as life does get busy!! 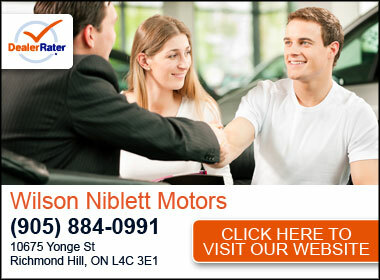 The service I received is well above and beyond all other dealerships I have dealt with in the past. Thank you to everyone at Boyer's for the fabulous care!! "Having been a longstanding Chevy family, we looked up the..."
Having been a longstanding Chevy family, we looked up the nearest Chevy dealership when we moved to the area a few years ago. We went to Boyer’s to get an oil change, and came home with a brand new Silverado!! Since then we have relied on the Boyer family for their knowledgeable and trustworthy advice and guidance in Sales and Service. Ed Mallory keeps us readily informed of promotions or offerings of which he feels we may be interested, and always makes himself available when we have questions, or just to catch up with the latest goings on! Servicing our vehicles at Boyer’s is never a worry or concern, because we know that the Service Department staff will always lend prompt and courteous attention with educated responses and reasonable outcomes. They are always on top of their game. We especially appreciate Boyer’s ability to keep us up to date with sales promotions or service requirements without being intrusive in our daily life. And, it’s incredibly satisfying to know that when you come through the door you are instantly recognized and cheerfully acknowledged.